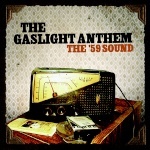 The Gaslight Anthem Fan Forum • View topic - What is TGA's best album so far? If you can only choose one, what is The Gaslight Anthem's best album released so far? Re: What is TGA's best album so far? By far, HANDWRITTEN....My lowly opinion, but the Blood on those pages runs deep. Not that any TGA Album is not as equally excellent. loudsilence wrote: By far, HANDWRITTEN....My lowly opinion, but the Blood on those pages runs deep. Not that any TGA Album is not as equally excellent. I prefer '59 Sound or American Slang, though Handwritten is up there. I love the all, but by a slim margin have gone for Handwritten. I guess to me it's lyrically the best. I love all of them. They all have their different vibes to them. But I have to go with Sink or Swim because I love the rawness to it, and Ida Call You Woody Joe is my all time favorite song in my library because I love the rocking out vibe to it and it brings back a lot of memories for me.